HAVE YOU PROTECTED YOUR FAMILY AND LOVED ONES WITH A LAST WILL? A properly written Last Will can be a tremendous tool to help your family and loved ones deal with the many complications, problems and costs associated with estate administration. If you need advice on a NJ Will and its use in NJ estate planning and asset protection and want to talk to an experienced and trusted New Jersey Wills attorney, then call Fredrick P. Niemann, Esq. toll-free at (855) 376-5291 or e-mail him at fniemann@hnlawfirm.com. He warmly welcomes your inquiries. People often talk about estate planning when the topic of death comes up. We all know our passing is a reality but a distant reality……. so we think. I hope that is true for all of us. But life isn’t always fair and bad things happen everyday. Young people die or are disabled in a horrific accidents. Middle aged persons in their 40’s and early 50’s die from heart attacks or suffer terrible strokes and aging men and women in their 70’s and 80’s languish with ALS, Alzheimer’s disease, Parkinson’s and dementia. People of all ages, young and old, experience sudden and debilitating illness that robs them of their dignity and quality of life. Are you married? Have children, grandchildren? Let me state it plain and clear… you need a last will. I have one. So do you. You also need an estate plan and you need a life care plan. Your estate plan should include a last will and/or trust, a Durable Power of Attorney, and Healthcare Directive. You need these documents to protect yourself, your children, spouse, grandchildren, domestic partner, favorite charity, parents, siblings … in short anyone or anything important to you. Why, because if you don’t plan ahead, your spouse may face large and unexpected expenses, taxes and be unprepared to handle the family’s finances. Families may fight over the guardianship of your children and money…, because your 22 year old son or daughter may inherit a sizeable estate and like the prodigal son or daughter squander it by age 25….., because your grandchild with a disability may lose his or her government benefits…..; because the son or daughter-in-law you can’t stand may receive a portion of your estate if they divorce your child …… and the reasons go on and on. View all of Mr. Niemann’s quick and easy to watch videos on Last Wills and NJ Estate Planning located to your left on the menu page. Fred was interviewed by NJ 101.5 statewide radio on the topic of social media and estate planning concerning your online presence upon your death. Read Fred’s interview and the article which appears by clicking below. Does Your Last Will and Durable Power of Attorney (POA) and Health Care Directive Measure Up? Your estate plan is an investment in you and your family’s future. As years pass, your family may grow, your assets will change, and new laws will be passed. We recommend all of our clients review their estate planning documents once every three to six years. This Checklist focuses on the foun­dation of your estate plan, including documents such as a Last Will and Testament, Revocable Trust, General Durable Power of Attorney and Living Will. (Note that references to a “Revocable Trust” on this Checklist are generally inter­changeable with the term “Will or Last Will & Testament “, which can also be used as the centerpiece of an estate plan.) However, irrevocable trusts – such as a Life Insurance Trust – and other estate planning vehicles should also be reviewed periodically to see if they are performing as expected. Below are a checklist and some questions YOU should ask yourself when reviewing your existing NJ estate plan documents. Do you have a (i) Last Will and Testament, (ii) Revocable Trust, (iii) General Durable Power of Attorney (POA), and (iv) Health Care Power of Attorney/Health Care Proxy/Living Will? Every complete estate plan must contain these documents. Have you moved to another state since you last updated your New Jersey will? If you moved from another state to New Jersey, there may be questions about the interpretation or validity of your existing estate planning documents. Generally, estate planning documents, including your Last Will when executed in another state will be valid in New Jersey, but our state may have specific statutes or tax laws that are not addressed in your existing estate plan. You may want to contact a us to update your Last Will & Testament. Do you have a personal property designation in your will?Is there a a separate writing where you indicate who should receive specific items of your personal property such as photographs, jewelry, art work, etc? If you have one, you should review it and make sure that it is still an expression of your wishes. If you don’t have a personal property designation, you may want to consider creating one so that specific items will go to specific people. Is any person receiving all or a portion of your estate a child (under 18, 25 or 30)? If so, your will should make provisions for that property to be held by the minor’s Guardian or trustee under a written trust provision until he or she attains an appropriate age. Do you have any specific gifts or bequests you want to make? Any gift of a cash amount or of an asset other than personal property should be stated in your Will and/or trust. If you have given away a specific asset to a person listed in your existing will or trust (i.e. your beach house), be sure that the asset still exists. Also, your will or trust should provide for what happens if the specific asset is sold during your lifetime. What is the total combined value of your (and spouse)’s assets, including life insurance death benefits? There may be a New Jersey Estate Tax or New Jersey Inheritance Tax imposed at your death. Both Federal and New Jersey Estate Taxes can be reduced or even eliminated with appropriate estate tax planning. If you are married, both spouses’ assets should be totaled together to see if they exceed current death tax exemption limits. If you have a taxable estate your estate plan should contain trusts or other provisions to reduce taxes. Note that New Jersey is phasing out the death tax in 2018 but don’t count on it to last. I’m convinced the next governor (depending on who wins the election, likely the pro-tax candidate given N.J. is such a “Blue” state) and his allies in the legislature will resurrect some form of death tax. What the exemption amount will be is unknown at the present time. I am however advising clients and preparing documents with the expectation that some form of death tax will reappear. I’ll be happy to explain my thinking should we meet together. A Last Will can seem complex and a lot to think about, but it doesn’t have to be. With some basic planning, common sense and the guidance of an experienced estate planning attorney, you can have a Last Will prepared quickly and with a reasonable costs. Here are some reasons to consider having a will today. We all know the Allstate Insurance commercial that addresses mayhem in the world we live in. The commercials are really clever, entertaining and probing. It makes us think about whether we have enough insurance. Well, the same lessons can be learned in your NJ estate planning. If you have an Estate Plan are assets being distributed to your beneficiaries outright or in trust? If assets are distributed to a beneficiary outright, the beneficiary can do whatever he or she pleases with the assets. However, those assets are at risk from the beneficiary’s creditors, spouse in a marital action, and poor judgment. It is possible to create a will with a trust that gives the Trustee (who may also be a beneficiary) great flexibility in distributing the assets to the beneficiaries, and at the same time protects those assets from a beneficiary’s immaturity, misuse, creditors, divorce, etc. Also, trusts in New Jersey will may be used when you want to direct how assets will pass upon the beneficiary’s death. For instance, many times in a second marriage a trust will be established for the benefit of the spouse, but provide that upon the spouse’s death the assets will pass back to the decedent’s children. You should speak with Fredrick P. Niemann about the benefits and drawbacks of using a trust to distribute your assets to your beneficiaries. If you currently have a will, are the terms of the will still appropriate? Many people establish wills with trusts for young beneficiaries. You should look at the ages when the assets will be distributed outright to the beneficiaries, keeping in mind that assets distributed to somebody who is 18 are likely to be spent differently than if distributed to a person who is 30 years of age or older. It may be appropriate to increase or reduce the ages at which the beneficiaries will receive an outright distribution from the will or the trust. Alternatively, it may be appropriate to give the beneficiary an income stream, or give the Trustee greater discretion to make distributions from principal. For example, a trust with a New Jersey will might say that a child will receive the income from the trust starting at age 25, and that the principal must be distributed to the child outright at age 30 and 35. Prior to age 35, the trust principal could be used for the beneficiary pursuant to the terms of the trust. By structuring a trust this way, the beneficiary has an opportunity to learn how to manage money. Do any of your beneficiaries have special needs? If you have a disabled child or beneficiary who is elderly or has special needs, that beneficiary may need to qualify for public benefits in order to maintain their standard of living. If a person who is receiving public benefits receives an inheritance directly, the public benefits will cease, and the person must exhaust the inheritance to pay for the care that the public benefits would otherwise have provided for. Once the inheritance is exhausted, the person must then reapply for benefits. This can be a traumatic and expensive process. Instead, you should consider leaving assets in a purely discretionary Special Needs Trust for the person, drafted in such a way that it does not interfere with the person’s ability to receive public benefits. By using this approach, the trust becomes a security blanket for the beneficiary, not a burden. READ ABOUT THIS REAL LIFE STORY OF A PERSON WHO FAILED TO PLAN HIS ESTATE…. AND DIED SUDDENLY. I tell clients about a middle aged wife and mother that came in to see me years ago. Her husband of 25 years had died, early, young and unexpected. He was scheduled to sign his estate planning documents the week after he died. He was worth a lot of money. But he died before he signed a single document. By law, he died intestate, meaning he died without a will. Because of that, we had to deal not only with the emotional tragedy of his unexpected death, but the significant financial costs associated with no having estate plan in place. You see, by not signing his estate planning documents before he died, it was if he had done nothing to prepare for his death. 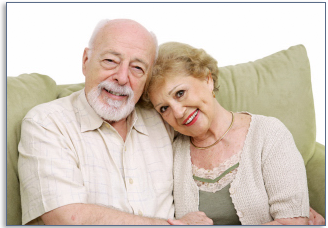 Do you want your minor/adult children to be the co-owners of your estate with your surviving spouse? Do you want your children by a previous marriage to be disinherited by your present spouse after you die? Do you want to potentially save money in federal and New Jersey death and inheritance taxes? Do you want in-laws, family and/or friends filing lawsuits over the custody of your children? If your answer(s) to any of these questions is no, then you need to contact Fredrick P. Niemann, Esq. as soon as possible! A will is a document which directs how your property is to be distributed upon your death and provides for the people you love and care for when you are gone. A will creates a fiduciary relationship between your executor and beneficiaries in which property is held for the benefit of one (or more) person(s). The person creating the will is generally called a testator, or grantor. The testator typically executes a written document which upon death authorizes the transfer of property to a person called an executor or executrix. The executor is responsible for administering the terms of the will. The person for whose benefit the will is administered is called a beneficiary. The property held in the estate is often called estate property. New Jersey statutes and case law control the creation, operation, and termination of a will. A last will can generally be written any way you want it except to the extent that a term is illegal or against public policy. Generally, where a will fails to address an issue, New Jersey law must be examined. A Last Will & Testament may provide for the management of your property, the accumulation and distribution of income to your beneficiaries, time the distribution of property to your beneficiaries, define when withdrawal powers in trusts can be exercised for beneficiaries, and other powers. In addition, there are many income, estate, and death tax factors written to be considered when creating a will. An experienced estate planning attorney experienced in wills and trusts is extremely valuable. A trust written in a Last Will which comes to life when a person dies is called a testamentary trust and is subject to probate at the grantor’s death. On the other hand, living and revocable trusts created during a lifetime are generally not subject to probate. A person must have the legal capacity to create a last will in New Jersey. Capacity means generally that the person is of sound mind and legal age when he or she signs his or her Last Will & Testament. As a father of four sons, I can help you address many of the concerns I had when selecting a guardian(s) for my children as well as other estate planning concerns. You can reach me toll-free at (855) 376-5291 or email me at fniemann@hnlawfirm.com. I came to Hanlon Niemann to have a Last Will & Testament done. Everyone I met with was very professional, knowledgeable and courteous which is sometimes hard to find. All of my questions were fully answered, my documents promptly prepared and my telephone calls promptly returned. Everything was up to my expectations. In addition, other specific provisions can be easily inserted into the will which achieve your specific estate-planning objectives. Therefore, this list should not be considered an all-inclusive list of provisions. Put our three decades of legal experience to work for you. Call our office today and ask for Mr. Niemann to personally discuss your NJ last will toll-free at (855) 376-5291 or e-mail him at fniemann@hnlawfirm.com. He welcomes your calls and you will find him easy to talk to and receptive to your questions and concerns. He has counseled many, many hundreds of individuals and families. Fredrick P. Niemann, Esq. was invited by the Office of Elder Rights and Adult Protective Services of the Department of Health and Senior Services, Division of Aging and Community Services, to make comments on existing Adult Protective Services Programs. On March 6th, Fredrick P. Niemann, Esq. addresses the Monmouth County NJ Bar Association Family Law Committee on Special Needs Trusts, Supplemental Needs Trusts for adult and minor incapacitated children and aged parents and their use in asset planning and eligibility for government benefit programs, including Medicaid, SSI and SSD.